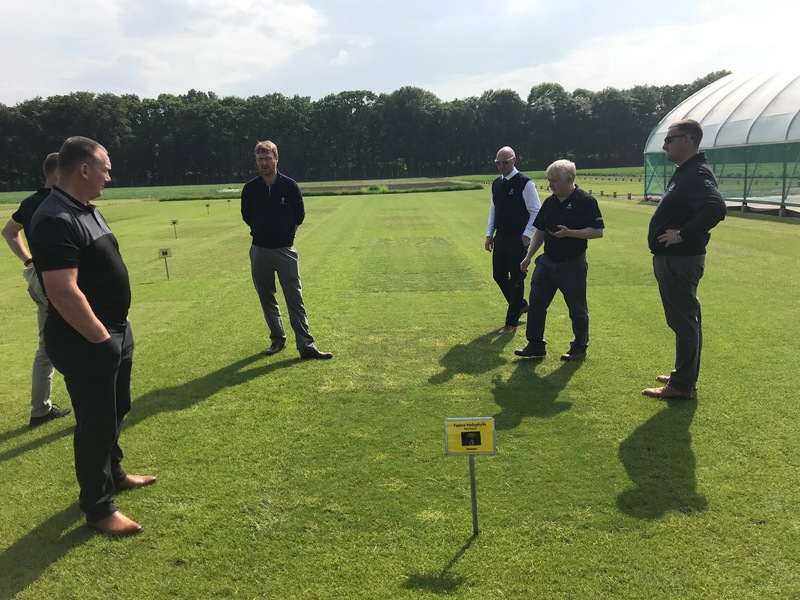 Last week, myself and managers from our Greenkeeping Department visited our seed supplier’s head office and test centre near Arnhem in the Netherlands. Barenbrug is a family owned seed company who have been our exclusive suppliers for 20 years. 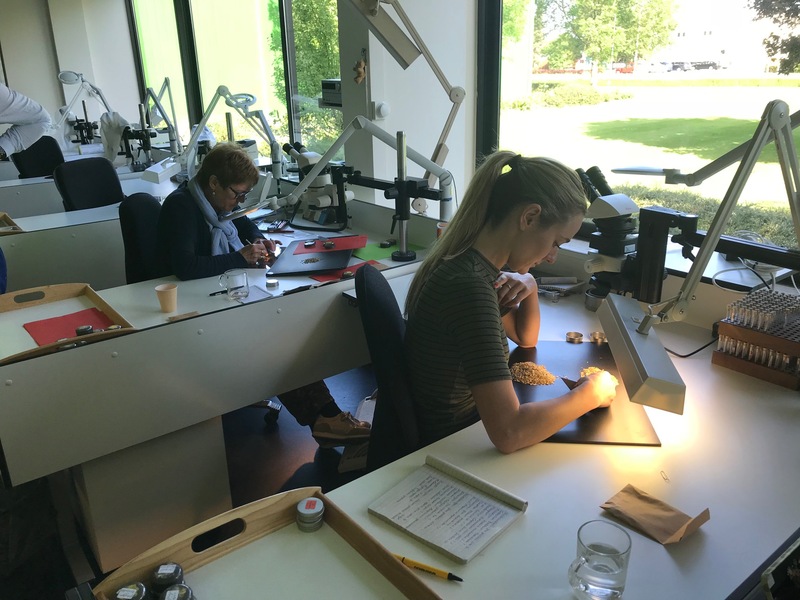 Brothers Bas and Frank Barenbrug are the fourth generation in the family business that operates in 21 countries across six continents. 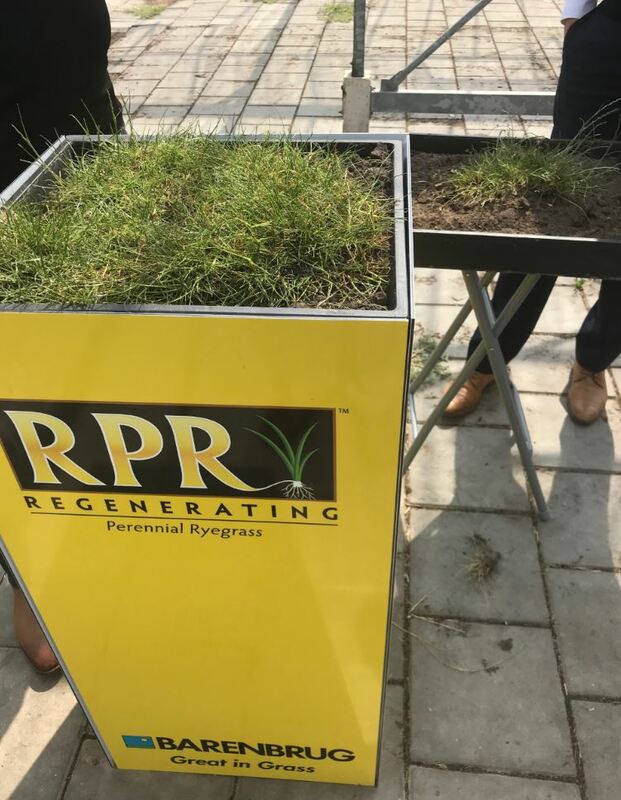 Their cultivars (plant variety that has been produced in cultivation) regularly top the performance list at the Sports Turf Research Institute’s annual trials. New varieties undergoing the first stages of selection. Only the strongest survive. 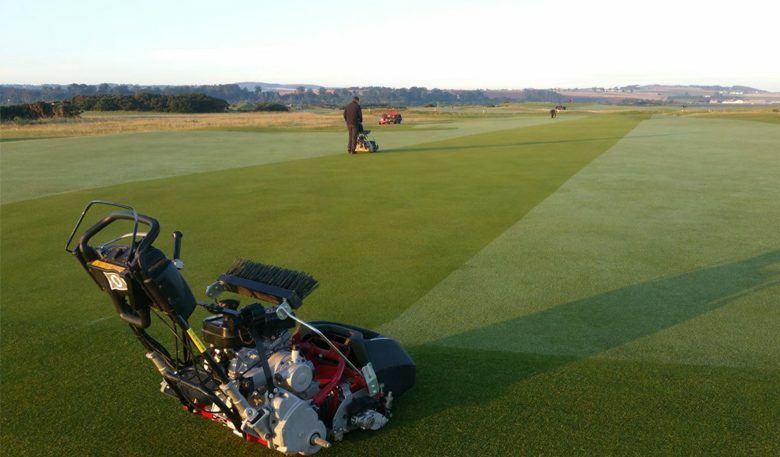 They’re a very innovative company and in recent years have introduced two new products which have been successfully used at St Andrews Links. 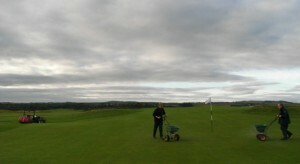 The first one is ‘regenerating perennial ryegrass’ which we have used on high wear areas to achieve quick recovery. This has been particularly helpful on the landing area of the Golf Academy and on the Bruce Embankment once tents and infrastructure have left this area following tournaments. The grass in the foreground is regenerating perennial ryegrass which has developed to this stage in 18 months. The second one is ‘yellow jacket’ where they have successfully coated the seed in a wetting agent. This retains moisture enhancing the seed, germination and early growth of the young grass as it establishes. This has been particularly helpful in fairway divot recovery through dry periods as we limit water to encourage finer grasses. Yellow jacket. The plot at the back is treated seed and you can see how much better the cover and health is compared to untreated seed in the foreground in a sandy, arid sand. 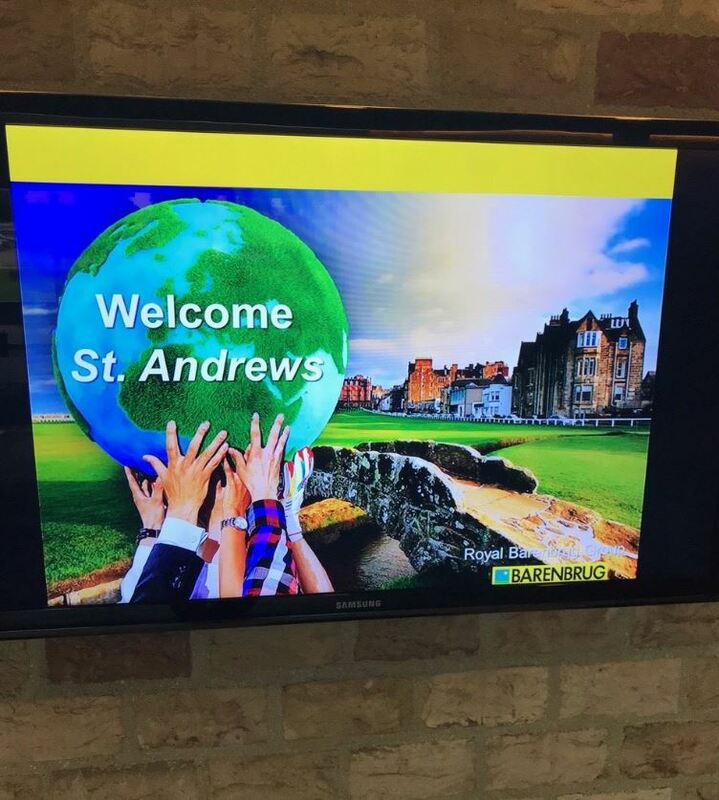 With sustainability being key, water shortages and a reduction in available pesticides, breeding new cultivars has never been more important. 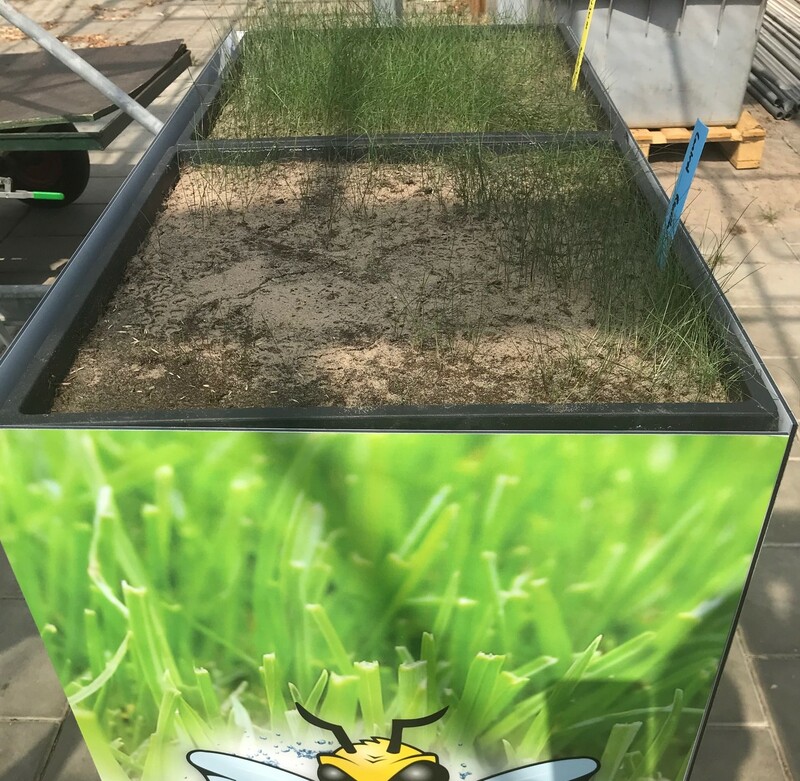 Barenbrug are continually looking to develop new species which are more drought tolerant, withstand disease and are harder wearing along with other characteristics such as fineness of leaf and ability to cope with climate change. In the lab checking a sample from a batch of prepared seed for impurities such as weed seeds or empty husks. It takes 21 years to bring a new cultivar to market from breeding the initial plants. Inspecting the different trial plots. Barenbrug put huge effort into quality control to make sure the seed we’re purchasing is 100% pure with no weed seeds or contamination from other varieties. 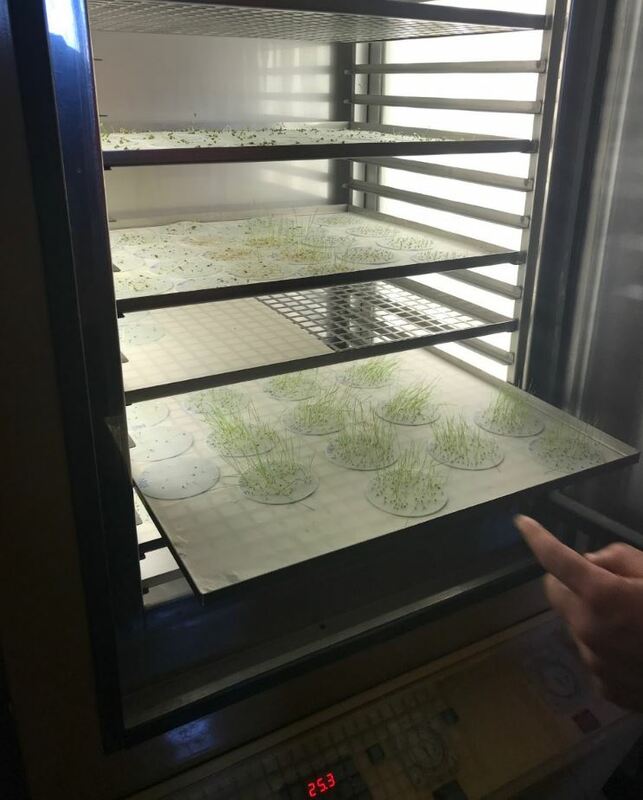 Under controlled conditions they check 100 seeds for 100% germination. This trial is replicated three times. Their head of breeding in the 1990’s took a two year sabbatical and cycled around the world. 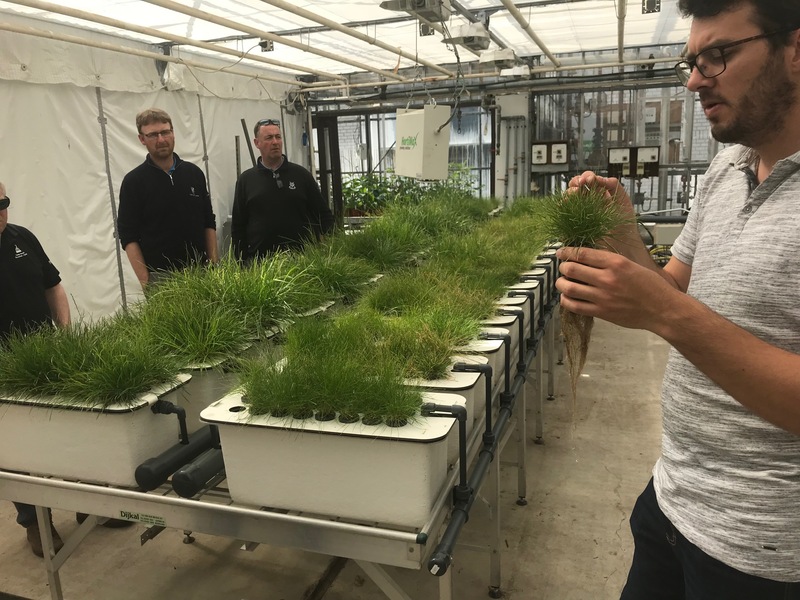 Everywhere they went, any time they came across a grass which was growing in the harshest of conditions they would bag it and post it back to the research centre to see if they could successfully breed its best characteristics. They went through 17 bicycles and were kidnapped in the Khyber Pass! 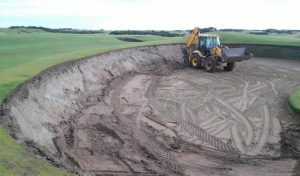 All in the pursuit of cutting edge grass!